Pliny the Younger is here. One of the world’s most highly sought-after brews returned for its annual release at Russian River Brewing in Santa Rosa last Friday, and reports estimate that kegs of this monstrous triple IPA are scheduled to be picked up for distribution as early as today, February 8, 2016. 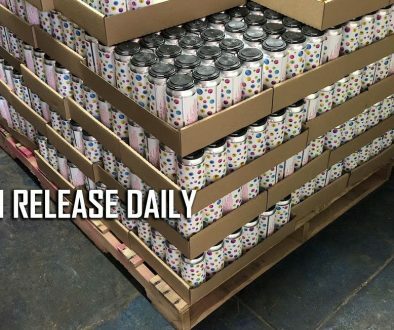 The release comes a full week after the conclusion of San Francisco Beer Week, which had to move up this year due to the Super Bowl taking place in neighboring Santa Clara. While a few SFBW events missed having this much-buzzed about IPA, the folks at Russian River took their time to keep the Younger on schedule as they have for years now, and thanks to some freak weather, people lined up at the brewery this week aren’t shivering in the rain while waiting hours for a pour. For the past few years, we’ve been posting a southern California specific list of where to find Pliny the Younger tappings. We thought we’d mix it up this year and include northern California and the limited distribution the beer has in Philadelphia, Denver, and Oregon. While it’s still too early to tell where and when these tappings will happen, we wanted to give you a list of bars that got the Younger in 2015 to give you an idea of which places to keep your eyes on. We will be updating this as often as possible — have a hot tip? Leave it in the comments! – Beachwood BBQ & Brewing (Seal Beach and Long Beach): Confirmed. The 5th Annual Pliny Fights Cancer Charity Raffle returns to both Beachwood locations this month. Tickets ($5, Cash Only) are available now to enter for a chance to win a pour redeemable at the end of the month. Full details on this incredibly noble cause here. – Hamilton’s (San Diego): Confirmed event on February 18th at 3pm. **Update: They just announced another keg will be tapped at 1pm on Saturday, February 20th along with a slew of other Triple IPAs. Details here. – SD Tap Room (San Diego): Confirmed that PTY will be at their anniversary on 2/27. Pre-sale tickets available on 2/20. Full details here. – 38 Degrees Ale House & Grill (Alhambra): Confirmed their event for February 20th. – Blue Palms Brewhouse (Los Angeles): Confirmed event on February 20 at 11:30a.m. Details here. – Willie Bird’s Restaurant (Santa Rosa): Confirmed tapping on February 10th. – Pi Bar (San Francisco): Confirmed tapping on February 11th – kicked in under 1 hour. – Toronado SF (San Francisco): Confirmed tapping on February 12th. – Lucky 13 (Alameda): Confirmed that this was tapped on February 12th. – McGee’s (Alameda): Confirmed they went through some Russian River goodies including PTY on Feb. 12. *Still seeing reports of the beer being available as of Feb. 15th – worth checking in if you’re in the area. – The Trappist (San Francisco): Confirmed super low-key tapping on Feb 12. with reports of even 2 or 3 pours for early birds. – The Englander Pub (San Leandro): Confirmed an event on February 17 at 5pm here. – O’Brien’s Pub (San Diego): Confirmed several events via their newsletter this weekend. For those who like lines, they will tap a keg on February 20th (time TBA) and again on February 23 at 11am. If you’re looking for a stress-free guarantee, you can purchase tickets on Thursday, February 18 for their annual Charity Keg of Russian River’s Pliny the Younger. We will tap the Charity keg at 5 pm on Wednesday the 24th and the only way to get a glass will be to sign up in advance. 100% of the money will go to animal related charities around town. We will be selling 10 oz glasses for $20 each with a limit of 2 per person. – The Hobnob (Alameda): – Confirmed super duper low-key tapping over the weekend. Not listed and may or may not still be on tap. Those local to Alameda should politely ask, but there are no guarantees. – Rosamunde Sausage Grill (San Francisco): Confirmed tapping for February 15th – no time avail. – Gas Head Tavern (San Fancisco): Confirmed tapping on February 15th – keg blew before end of night. – Haven Gastropub (Orange): Confirmed event happening on February 21. First come, first serve at 9am. Full details here. – First Street Alehouse (Livermore): Confirmed belated SF Beer Week event for February 20th at 9am via Facebook. – Mohawk Bend (Los Angeles): Confirmed tapping on Saturday, February 20. Details here. – Public House (San Francisco): Confirmed tapped keg on February 17th – kicked before end of night. – Library Alehouse (Santa Monica): Confirmed low-key event on February 17. Keg status unknown as of 2/18. – Beer Revolution (Oakland): Confirmed spotting on February 17. – Blind Lady Alehouse (San Diego): Confirmed ticketing event. Want PtY at BLAH? Get tickets here tonight (2/18) at 5pm for their February 21st (tickets only) tapping which will be a Elder & Younger side-by-side. – Lucky Baldwin’s (Old Town Pasadena): Confirmed event on March 5th. Track FB and IG for times. – Lucky Baldwin’s Trappiste (Pasadena): Confirmed event on March 6th. Track FB and IG for times. – Lucky Baldwin’s (Sierra Madre): Confirmed event on March 12th. Track FB and IG for times. – Naja’s Place (Redondo Beach): Confirmed on 2/19. – Hollingsheads Deli (Orange): Confirmed another epic event for 10am on Monday, February 22nd. 9 Russian River brews! – Tiger! Tiger! (San Diego): Confirmed ticket pre-sale at 6pm on March 4th! Beer will tap at 11a.m on March 5th in the back patio. MUST have tickets. Cost is $40 and gets you .4l of the Younger and .4l of the Elder for a side-by-side tasting. All proceeds benefit Cancer charities! Limit two tickets (cannot be redeemed by the same person). – Boneyard Bistro (Sherman Oaks): Confirmed via instagram that they’ll have it on February 23. – Toronado SD (San Diego): Confirmed keg was tapped during lunch hours today (2/18) and blew within the hour. Will there be more? Perhaps. Just keep your eye on Toro just in case — there is no shortage of good beer to drink there either way. – The Bottle Room (Whittier): Confirmed event for February 27th at 10am. Details here. – The Surly Goat (Los Angeles): Confirmed this was tapped on Feb. 25. – Encinitas Ale House (Encinitas): Confirmed – did you catch their pre-sale on Monday, February 22nd for tickets to their February 28th event? Good for you if you did! If not, you *might* get lucky with leftover pours open at 3pm. Read the fine print here. – Tony’s Darts Away (Burbank): Confirmed event on February 27. Tickets distributed at noon, taps at 3pm. Details here. – The Salted Pig (Riverside): Confirmed tapping on February 22. – Pi Bar (San Francisco): Confirmed – as of February 22, you may want to ask what the unmarked tap handle is. No guarantees though! – Eureka Burger (Claremont): Confirmed this was was tapped on February 23. – Capitol Beer & Tap Room (Sacramento): Confirmed tapping on February 22. – St. John’s Bar & Grill (Sunnyvale): Confirmed. Tapped on 2/19. – The Hop Yard American Alehouse & Grill (San Ramon): Confirmed to be tapped on 2/21. – Cato’s Ale House (Oakland): Confirmed event will be on February 28th. Tokens for sale at 11:30am (CASH ONLY) to get your pour of the Younger starting at 12:30pm. Other great Triple IPAs will also be on tap (credit cards accepted for those transactions). – Good Karma (San Jose): Confirmed that this was tapped on February 21. – The Bistro (Hayward): Confirmed event was on February 18. Two pours per person max. – Stone World Bistro & Gardens (Escondido): Confirmed to be seen on tap February 23 and 25th. Time unknown, so keep your eyes peeled and hang for a bit during the day. 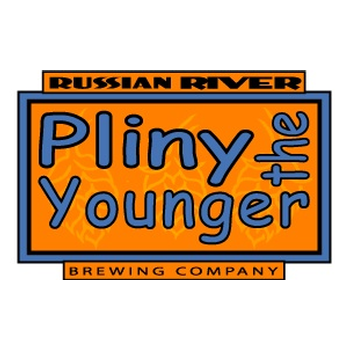 **Update: Expect Russian River goodies including the Younger at 5pm on 2/23. – Small Bar (San Diego): Confirmed this was tapped at midnight on February 23. Is it still on? Unknown as of 8:10a.m. on 2/23. – Congregation Ale House (Long Beach): Confirmed tapping on February 23. – Sorrel Restaurant Bistro (Temecula): Confirmed – the original home of Blind Pig Brewing saw the Younger on February 25 at Sorrel. – Harry’s Hofbrau (San Jose): Confirmed their event for tomorrow, February 20th at 11am. 150 pours available, first come first serve. Details here. 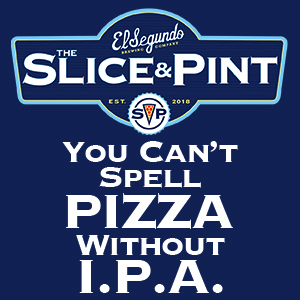 – Pizza Port San Clemente (San Clemente): Confirmed reports that this is on tap today (2/23). As of 12:09p.m. – City Beer Store (San Francisco): Confirmed this was tapped last night on February 22. – Mini Bar (San Francisco): Confirmed they tapped on February 18th. – Bin 55 Restaurant & Bar (San Francisco): Confirmed tapping on February 18. – San Francisco Marriott Marquis Hotel Bar (San Francisco): Confirmed that they kicked a keg in under 30 minutes last night (2/18). – Pete’s Brass Rail & Car Wash (Danville): Confirmed for February 22. – Bobby G’s Pizzeria (Berkeley): Confirmed tapped on 2/19. – Barclays Restaurant & Pub (Oakland): Confirmed event was on 2/22. – Newport Pizza & Ale House (San Diego): Confirmed tapped on 2/22. – Slater’s 50/50 (Anaheim Hills): Confirmed event for March 2nd. – University of Beer (Sacramento): Confirmed event on February 25 at 2pm. – Bar West (Sacramento): Confirmed date for February 24. – Pangea Bier Cafe (Sacramento): Confirmed a beer dinner on March 2 – details to come. – Live Wire (San Diego): Confirmed a hush hush event on Feb. 23. – O’Flaherty’s Irish Pub (San Jose): Confirmed tapped on Feb. 23. – Selma’s Chicago Pizzeria & Tap Room (Rancho Santa Margarita): Confirmed a 2-day event for March 7th & 8th at the RSM location ONLY. Wristbands go on sale at 8am those days (CASH ONLY) to the first 100 guests. $15 for one pour and commemorative glassware. Beer will be tapped at 4:30pm with any remaining pours up for grabs after 8pm. Other Russian River brews will be also be available. – The Page (San Francisco): Confirmed they put this on tap on Feb. 23. – Verdugo Bar (Los Angeles): Confirmed event on March 2nd. Tickets distributed at 6pm, beer tapped at 8pm. Get there early. – Eureka! (Claremont): Confirmed tapped on the DL during lunch hours on February 25. – Neighborhood (San Diego): Confirmed low key tapping on February 25. – Churchill’s (San Marcos): Confirmed tapped o 2/25. – Eureka Burger (Redlands): Confirmed this came and went on 2/24. – Ben & Nick’s (Oakland): Confirmed tapped on 2/25. – The Hop Grenade (Concord): Confirmed tapping on 2/28. – Burgers and Brew (Sacramento): Confirmed tapping on 2/28. – Downtown Johnny Brown’s (San Diego): Confirmed tapped on 2/29. – Father’s Office (Santa Monica): Confirmed tapped on 2/29. – First St. Alehouse (Livermore): Confirmed tapped on 2/29. – Ladyface Ale Companie & Brasserie (Agoura Hills): Confirmed tapping on 2/29. – Slow Hand BBq (Pleasant Hill): Confirmed tapped on 3/2. *TFP would like to thank Zach for sending in Sacramento updates! – Falling Rock Tap House: Confirmed three events on February 20, 21, and 28th at 1pm. Full details here. – Parry’s Pizza (Highlands Ranch): Confirmed an 11am tapping on March 5th. Details here. – Cheeky Monk Belgian Beer Cafe (Denver): Confirmed two opportunities for hop heads. The first being February 24 at 5pm and then again on February 27th at 3pm. – Freshcraft (Denver): Confirmed for February 29th. Line starts at 5:30, beer tapped at 6pm. Cash only at the bar — $1 of every sale benefits Sense of Security. – Belmont Station (Portland): Confirmed this was tapped on Feb. 23. – Horse Brass Pub (Portland): Confirmed tapped on March 2. – Higgins Restaurant & Bar (Portland): Confirmed plans are set for an 8pm tapping on February 24th — BUT you must come get a ticket during the DAY to ensure your pour. Keep an eye on their social media for details. – APEX (Portland): Confirmed tapped on February 25. – The Upper Lip (Portland): Confirmed tapped on Feb. 29. – The Side St. Tavern (Portland): Confirmed tapped on Feb. 29. – The Hop & Vine (Portland): Confirmed on February 25. – Monk’s Cafe (Philadelphia): Confirmed event for March 7th at 12pm. This will be part of their annual Alex’s Lemonade Stand fundraiser so keep an eye on their social media for more details. – Eulogy (Philadelphia): Confirmed for February 25 at 11am. First come, first serve. – Memphis Taproom (Philadelphia): An email was sent on 2/25 — the first 50 people who replied to it get in at 11am on February 29th. Everyone else is first come first serve at 11:30am. – Race Street Cafe (Philadelphia): Confirmed event for February 29th — tickets on sale at 4pm to be redeemed any time that evening during business hours. 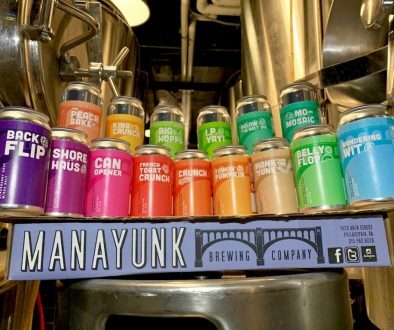 – South Philly Taproom (Philadelphia): Confirmed for March 3rd. First come, first served at 11am. – Side Bar & Restaurant (West Chester): Confirmed event on Match 18 at 11am. – City Tap House (Philadelphia): Confirmed event on March 13 at 11am. – Blue Dog Tavern (Chalfont): Confirmed March 13th event. Doors at 10am, beer taps at 11am. – Good Dog (Philadelphia): Confirmed event for February 28th. Tickets on sale at 9pm, beer taps at 10pm. – Bru Craft & Wurst (Philadelphia): Confimed event for February 29th. First 100 people get tickets at 4pm (1 six-ounce pour for $5). Not one of the first 100? Te rest of the pours are up for grabs after 5pm. – Kite & Key (Philadelphia): Confirmed to be tapped during lunch on March 3. Stone tapped PTY tonight at 5pm.. i was about 30 deep in line. Enjoyed two 10oz pours for $18. Keg was blown 30 minutes later. Boneyard Bistro did their usual silent tapping last night. Thank you for continually updating this list. Hoping to catch the Stone Escondido tapping today since I missed out at Hamilton’s and Blind Lady this past weekend. Pangaea Bier Cafe in Sacramento – 3/2 – Doing a dinner with the beer release. Tix on sale now. I’m getting details on how much and what comes with it tonight (feel free to email me). University of Beer in Sacramento is tapping theirs at 2:00pm on Thursday 2/25. Their Davis location will have it as well but no date/time set. Toronado San Diego just tapped. Also happening next week we will start to sell tickets for our annual Charity Keg of Russian River’s Pliny the Younger. We will tap the Charity keg at 5 pm on Wednesday the 24th and the only way to get a glass will be to sign up in advance. 100% of the money will go to animal related charities around town. We will be selling 10 oz glasses for $20 each with a limit of 2 per person. The tickets will go on sale at 4:30 pm on Thursday the 18th. This will guarantee you a glass on Wednesday the 24th with no lines to wait in. For those who like lines, we will be tapping our first keg on Saturday afternoon, the 20th. Look for a precise time in next week’s email. We’ll also have a keg at lunch on Tuesday the 23rd when we open at 11 am. Wildwood in Portland is (sadly) no longer open, just FYI. Lucky 13 Alameda, Ca they will have the Younger! !